Looking for something to do during the coming chilly London evenings? 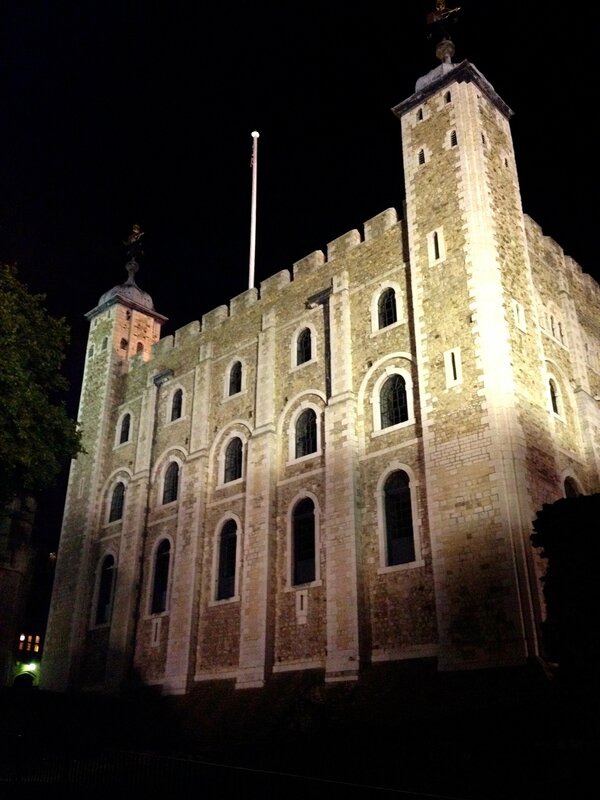 Then bundle up and come down to the Tower of London Twilight Tour. I had the privilege of being invited by the lovely ladies of Historical Honeys to attend and I enjoyed the experience immensely. If you’re looking for a fun, relaxed way to learn a bit about Medieval and Tudor history and London’s famous Tower, look no further, this is your tour! What makes this tour all the more enjoyable is its intimacy. Tours are limited to certain dates and held after the Tower is closed so you don’t feel rushed and crushed by mobs of tourists. The Twilight Tour winds it’s way around The White Tower, the Tower Green, the Queen’s Residence, and the chapel where Anne Boleyn and Katherine Howard are buried. During the tour, the Yeoman Warder regaled us with spooky tales about ghosts, murders and gruesome executions like that of Margaret Pole, Countess of Salisbury who was beheaded in place of her son by Henry VIII (her nephew!). Margaret desperately tried to escape across the Tower Green but was eventually caught by the executioner and hacked to bits! There are many other eerie occurrences and stories about the Tower given by the Warders during the course of the tour. The Warders themselves have a rather interesting background and connection to the Tower. Our Yeoman Warder (they’re not keen on the term “Beefeater”), was a former soldier in the British Army. In fact, all Yeoman Warders must have served in the Armed Forces for a minimum of twenty-two years prior to being eligible for the post. Their order dates back to 1485, when it was created by King Henry VII and was moved to the Tower in 1509 by King Henry VIII. The role is prestigious, well respected and life long. The process to become one of these much loved iconic Tower Wardens is gruelling. They must be well trained in Tower lore and history and undergo intensive testing. Tower Warders live at the Tower with their families. Currently, over one-hundred and thirty families reside there, along with a doctor. Their children are raised within the Tower grounds, and have “thirty-seven fathers” to care for them and keep them under their watchful eyes. Our tour guide was fantastic; he was enthusiastic, funny, and very knowledgeable.